Freemasonry is founded on the grand principles of brotherly love, relief and truth through which offers a mean for making good men better. The first thing to recognise is that a man becomes a Freemason only through his own volition. We do not solicit members! St. Andrew’s Lodge #560 is a first-class Masonic lodge with Scottish traditions and a proud representative of freemasonry in Ottawa. St. Andrew’s Lodge meets at the Ottawa Masonic Centre on 2140 Walkley Road from September to June. St. Andrew’s is an active Lodge whose primary purpose is to provide fellowship for men of good conscience. If you are interested in Freemasonry, we invite you to explore our site and to contact us with any questions. Freemasonry is an inclusive and inviting organization. It offers the benefits of life-long fellowship with a group of men who share an interest in living according to their moral outlook. If you are a Mason, we invite you to visit us on the first Thursday of any month. Please take a look to our Calendar of Events, there are pleanty of opportunities over the year for fellowship and sharing. 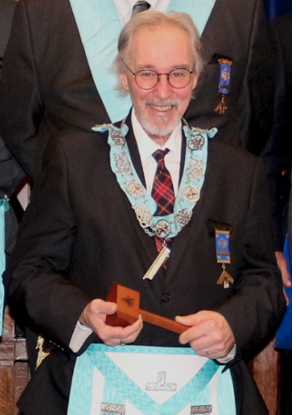 Spring has finally seems to find the National Capital and with it, marks the start of a very busy time for Masonry, a time when the lodges throughout the jurisdiction gear up for their elections and installations. I hope that many of you, especially the newer brethren will attend as many of these functions as possible and I would be pleased if any Brother would like to join me in my travels to these events. I would like to express my gratitude to the Brethren who took part in the reading of the Old Charges at last month’s Candle Light Lodge. Here we are already in March and spring is just around the corner. St. Andrew's Lodge A. F. & A. M. N° 560, G. R. C. in Ontario was constituted on January 10, 1920 and chartered on July 21, 1920. St. Andrew's Lodge is a constituent lodge of the Grand Lodge A.F.& A.M. of Canada in the Province of Ontario in Ottawa District 1. Copyright © 2019 St. Andrew's Lodge #560. All rights reserved.